The twins turn teen, everyone’s a foodie, and they’re all friggin’ gorgeous. Kyo and Kin aged up before I could cake them – noooo! On the up side, they both turned out really good looking. Whoa, mama. I’m a sucker for facial hair, though, so that’s probably the reason for me thinking that. (I think the facial hair is a mod for teens, too.) One of these boys will have to shave. I have enough trouble telling them apart. They both rolled the foodie trait so, wow. 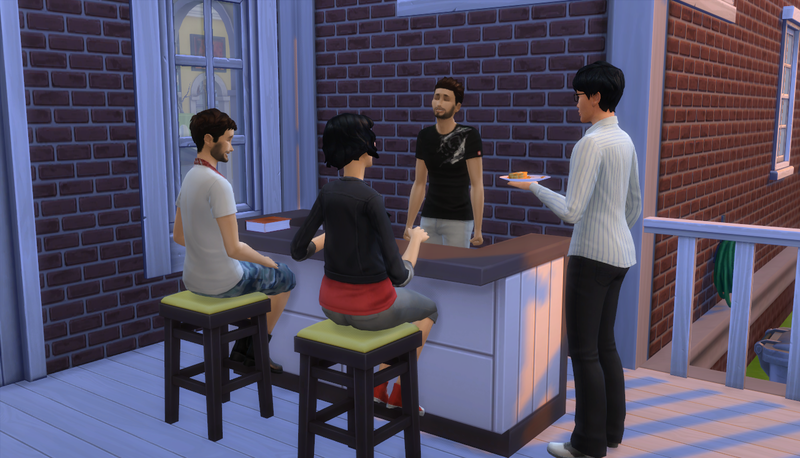 Dani, Nade, Kyo and Kin all are foodies. I wonder what the next child will roll – hopefully not foodie! Kyo’s aspiration is Curator (like Haru was) so I’ve got him collecting things around the house. 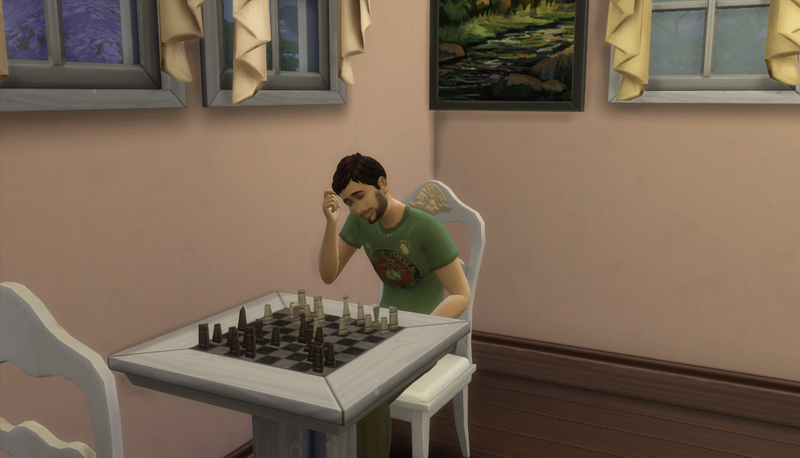 Kin, on the other hand, rolled Nerd Brain and I’m glad that he can continue to play chess and have it be worth something. Elsewhere in the house it’s that time again! 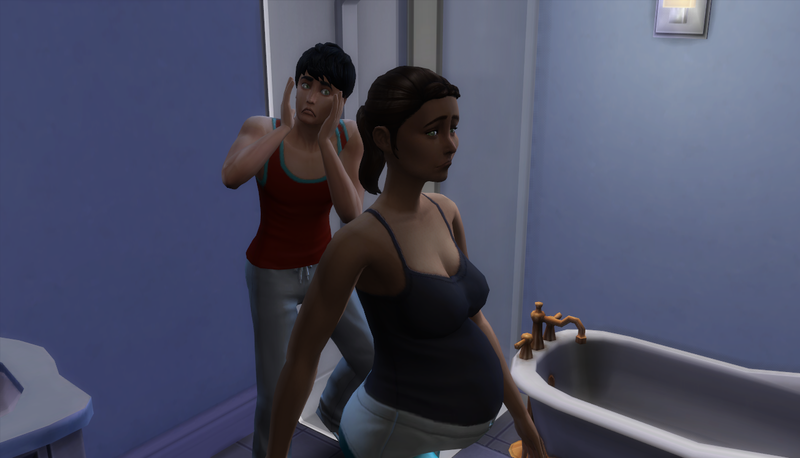 Dani woke up in the middle of the night ready to pop but I had her detour to the bathroom before heading to the hospital. 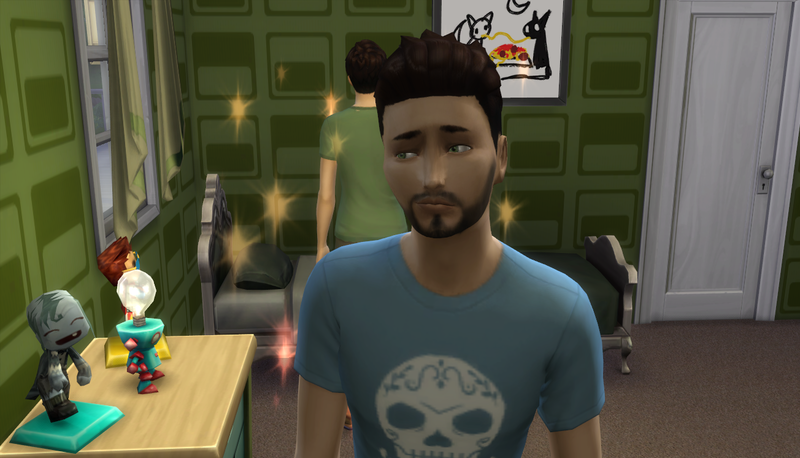 New Dad expressions give me life. Aaaand we welcome another boy to the family. They named him Ren. Dani was pretty tired, though, so she fed him and took a nap. The rest of the family gathered outside, all happy with the arrival of the new baby. Kin has been reading non-stop since aging up. 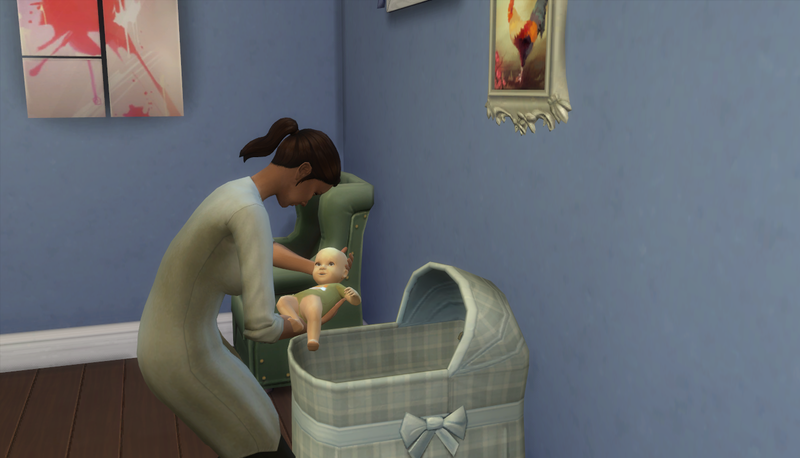 Nade doesn’t know this yet, but she’ll be our next heir since I’ve sort of morphed the rules to switch the heir’s gender each generation. That plus living will, of course. I don’t think I need any more spares. Anyway, this generation is GORGEOUS. Get out, Ikeda family. You’re too pretty.